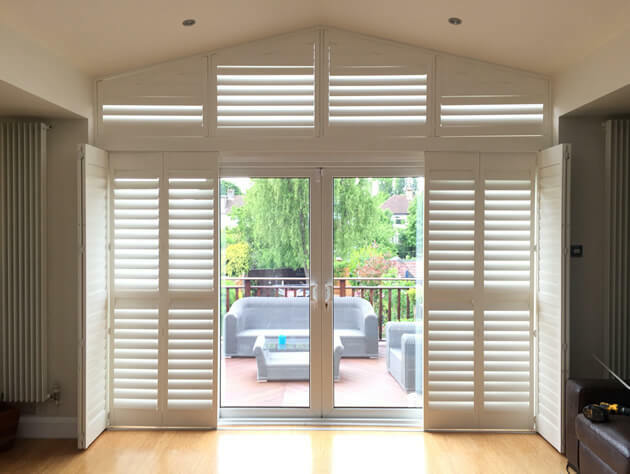 Mark and Ben were in our local area of Bromley, Kent to install these fantastic track system shutters complete with special shape shutters above. 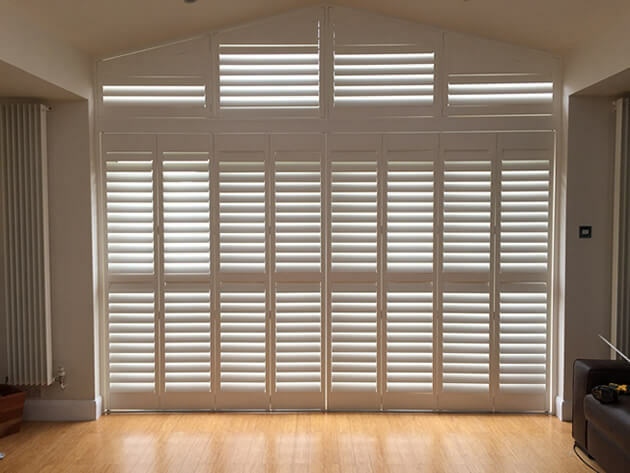 A client approached us to design these shutters to cover their sliding doors and window area directly above. The doors lead out to a balcony overlooking the garden so the shutters needed to be designed in a way that allows for easy access to the doors whenever required. 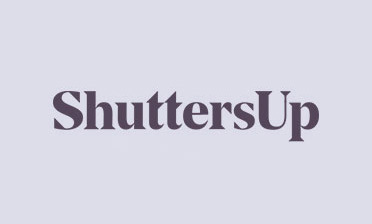 We achieved this by installing some track system shutters which can be neatly folded out the way allowing for partial opening or full opening. 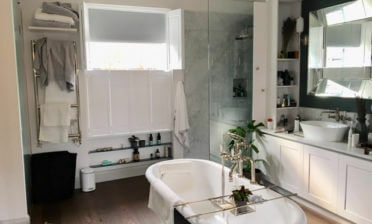 As you can see from the pictures this allows for the shutters to be half pulled back to keep some form of privacy on the windows to each side, or fully pulled back to open up the whole area. 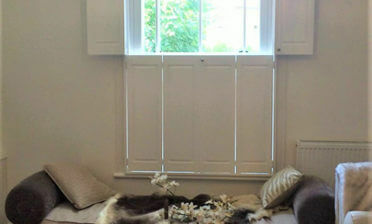 The shutters were created in a full height style with mid rail halfway up each panel. 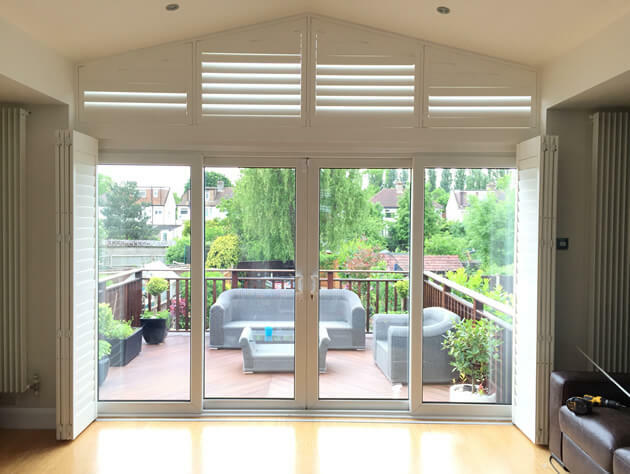 This not only helps to strengthen such high shutters, but also allows for the top and bottom louvres to be adjusted independently through touch using a hidden tilt rod system.